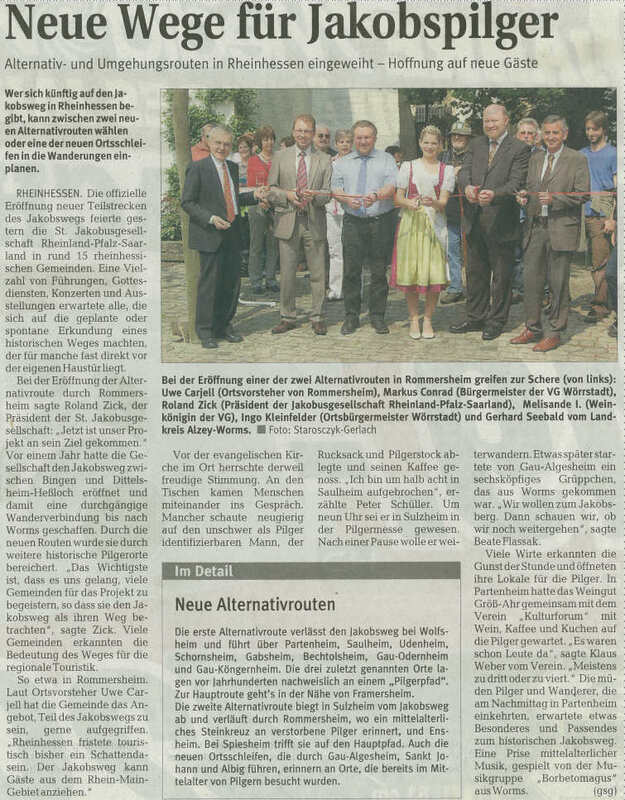 Rhein-Zeitung (Ausgabe Mainz) vom 4. Mai 2009 | St. Jakobus-Gesellschaft Rheinland-Pfalz-Saarland e.V. This entry was written by BruderZick, posted on 4. Mai 2009 at 00:00, filed under Allgemein. Bookmark the permalink. Follow any comments here with the RSS feed for this post. Both comments and trackbacks are currently closed.